As we age, our NAD+ levels decline and are further depleted by addiction, depression, stress, and illness. A significant increase in NAD+ levels helps to restore brain functionality by boosting mitochondrial function at the cellular level. As a result, patients have experienced increased clarity of mind, better problem-solving ability, improved focus and concentration, increased energy, improvement in mood, decreased anxiety levels, and reduced cravings. NAD+ stands for Nicotinamide Adenine Dinucleotide– a coenzyme of niacin found in all living cells on planet Earth that is involved in many processes. It is basically the building block of a healthy body that the brain, internal organs, and neurological systems need to function at optimal efficiency. Studies have shown promising results that NAD slows the aging process, improves mental clarity, restores neurologic function, and improves the body’s overall health. One of its most significant roles within the body is in oxidation-reduction (redox) reactions. These reactions are a part of the metabolic system and convert food into the energy the body needs to function properly. Research into the effects of NAD on the body is ongoing, but many studies have shown promising results in the benefits of NAD supplementation and restoration across a wide range of conditions. NAD helps keep the brain in top condition. This coenzyme rejuvenates and restores brain function by boosting sirtuins – proteins that function as anti-aging mechanisms that slow the effects of neurodegenerative diseases and natural cognitive decline. Together, NAD and sirtuins protect against toxicities in the body and improve cells’ resistance to stress. IV therapy for addiction and recovery is not a cure on its own and is recommended to be used in tandem with counseling or therapy. IV therapy for addiction can last 10 – 14 days depending on the individual. We are the only provider in the world to currently offer these cutting-edge therapies in this powerful combination. We recommend that patients engage in the entire program to ensure optimal results. Most patients take on the identity of being “the problem.” Revive’s counseling techniques focus on helping patients to see themselves as part of the solution instead of the problem. Our clinical teamwork with each patient to determine a plan for success that includes cultivating mindful awareness, nutrition, fitness, and ongoing support. Our approach starts with a thorough assessment of your physical, emotional and mental health. It’s designed to identify barriers to your recovery and determine your capacity for behavior change, and personal growth. Our team uses the assessment to develop your personalized treatment plan. Introduction to the basic principles of the treatment program, covering your rights and confidentiality laws is the initial orientation to the program at Revive. Most importantly, we set expectations and review your daily responsibilities. We have the tools for greater health, but it is up to you to use them. We want you to feel comfortable with the treatment. Feel free to use this opportunity to ask questions and voice concerns. Our approach starts with a thorough assessment of the patient’s physical, emotional and mental health to help us develop a personalized treatment plan, and determine what their protocol will be. Our physician then prescribes nicotinamide adenine dinucleotide (NAD+) to be administered intravenously under the supervision of our trained medical staff. All of our treatments are outpatient in nature. Throughout the course of treatment, patients may receive additional counseling and alternative therapies that can include everything from emotional and spiritual healing to innovative approaches to neurological enhancements like rTMS and HBOT. While we personalize every NAD+ treatment to each person’s individual needs, a typical addiction detox treatment is 10+ days and a typical day of infusion is 2-6 hours. How does it help with chronic illness? NAD+ treatment has been shown to be capable of dramatically reducing symptoms of these illnesses by boosting the body’s natural cell repair. How does it help chronic stress? How does it promote healthy aging? 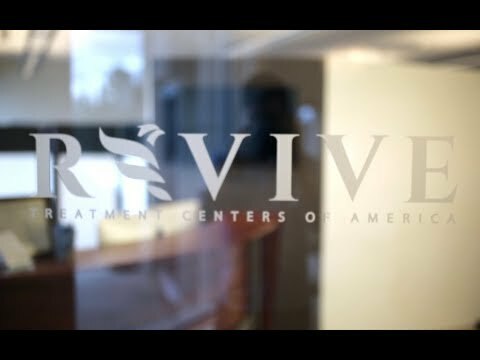 The price for NAD at Revive Treatment Center can range from $6,000 to $17,000, depending on the specific program that is recommended for you and discussed with Revive Treatment Center staff. For reference, a typical 10-day treatment is $13,500. Is this covered by health insurance or wellness plans? While we are not yet a Medicare / Medicaid provider and are unable to file claims directly with your insurance company, we do, however, offer financing options through Care Credit and accept all major credit cards. What sets Revive Treatment Center apart from other NAD treatment facilities? We feel confident about our ability to properly treat patients with our NAD program because of our extensive experience and official training that other centers may not have. We make each patient’s treatment completely customized to his or her individual case. Revive offers a comprehensive initial consultation and creates a NAD protocol that best serves the patient’s health goals and needs. No two patients treatments will ever be exactly alike.